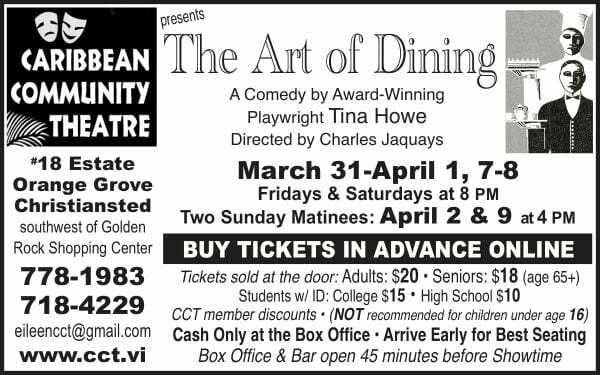 Due to unforeseen circumstances, CCT has had to postpone the opening of The Art of Dining for one week. There will be six (6) performances of this play over two weekends. with two Sunday matinees at 4 PM on April 2nd and April 9th. Thank you for your continued support of CCT and the arts on St. Croix.